Optus Business director of marketing, Hayley Clarke, is leaving the telco this month to become the first global CMO for Australian-based risk management services firm, SAI Global. SAI Global’s chief commercial officer, Paul Butcher, told CMO Clarke’s appointment is part of a group restructure which comes into effect on 1 July, and is aimed at transforming the organisation into a sales- and marketing-led business. SAI Global listed on the ASX in 2004 after splitting from Standards Australia. Since then, the group has made 40 global acquisitions and now operates across 29 countries. It provides risk management services to a host of industries including food and agribusiness, retail, healthcare, automotive and financial services and has more than 100,000 active customers. Historically, the organisation has operated in three distinct divisions: Assurance, or auditing, certifying and registering businesses; compliance; and information services, including standards, legislation and property. But following the appointment of new CEO, Peter Mullins, last year, it began embarking on a new strategy to align what were disparate functions and silos into an integrated business, Butcher said. “The newly created role of global marketing director is part of that strategy, and will help us take an integrated approach to market globally,” he said. Butcher was appointed SAI’s chief commercial officer at the same time as its new CEO came on-board and will operate across the combined risk management business when the new structure comes into effect on 1 July. He said three operational leaders will then support this structure. Butcher also claimed that while SAI Global has many of the world’s leading experts in the risk management field, it has not previously tapped into their knowledge to better interact with clients. “Part of the challenge and the opportunity is to make this more accessible to customers,” he said, adding Clarke’s appointment will help it make such a shift. Clarke has more than 15 years’ experience in B2B marketing, and previously worked for IBM’s marketing function in both Australia and Asia. 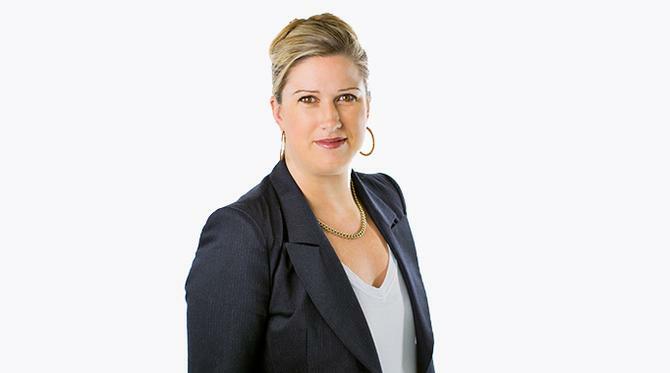 She joined Optus as GM of marketing communications in 2010 and took up the chief B2B marketer’s post in November 2012. Clarke joins SAI Global on 6 July and reports directly to the CCO. An Optus spokesperson confirmed Clarke leaves the telco this month, and said it is now conducting an internal and external search for her replacement.